Last week we painted some pumpkins for a shoot, and we noticed that the green pumkins looked exactly like green apples! 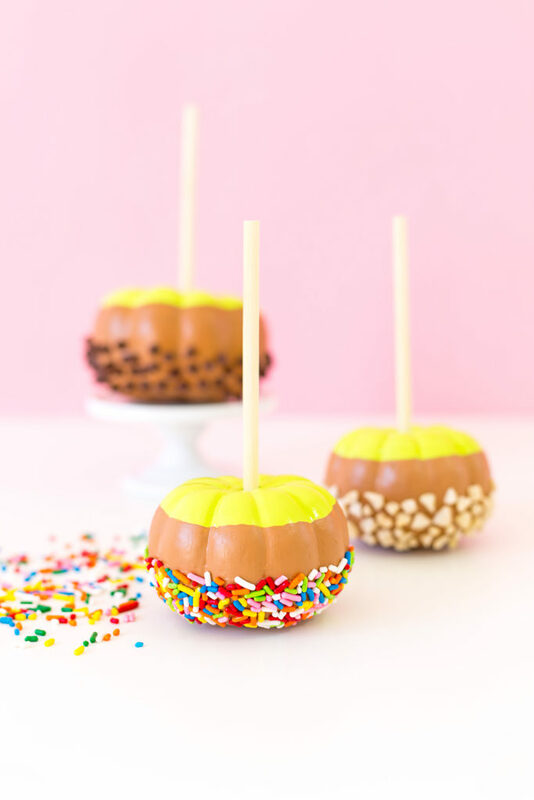 Sooo we have our first pumpkin project this year and we’re turning mini pumpkins into caramel apples, complete with your favorite toppings!!! These are super easy to make, and would be a fun project to make with kiddos. You could even let them pick or mix and match toppings for each pumpkin! We have another pumpkin project at the end of this week too, so I hope you all are having just as much fun with our Halloween content as we are having making it! ?